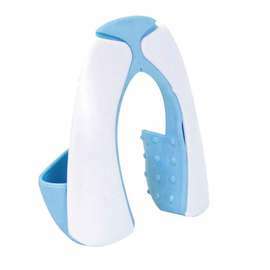 Soft grip food preparation tool that will keep your hands safe when chopping or grating food. Price excluding VAT.(Incl. VAT £3.59) *VAT Relief available on this product. This is an ideal tool to have in all kitchens. 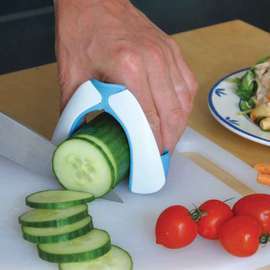 It gives you that little bit of help if chopping and slicing food leaves you with sore or aching hands – or if you just need that extra bit of grip. The wide non-slip handle also protects your hands when chopping or grating. When you grip the product, just place your fingers and thumbs in the recesses to protect them from the cutting/grating implement.